Amphawa, Thailand - Circa 2012 - A small tourist boat on the calm river breaks the reflections in the water as it travels towards the temple in the background. hd00:27An empty passenger boat approaches on the river with a Buddhist temple behind at Amphawa, Thailand. 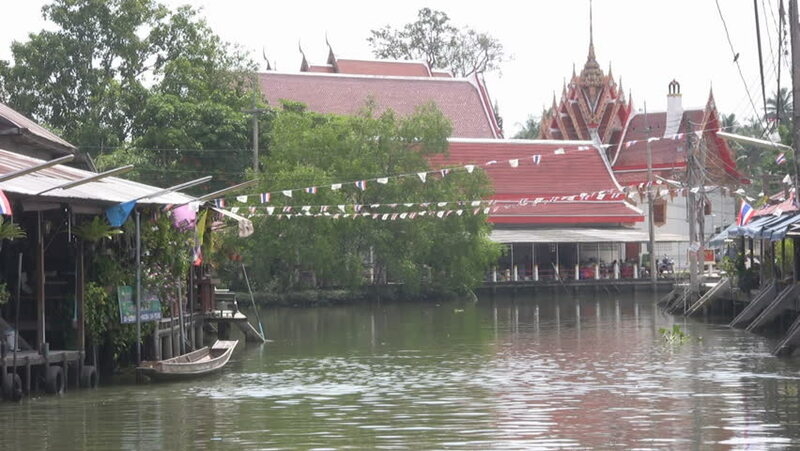 hd00:26An empty passenger boat approaches on the river with a Buddhist temple behind at Amphawa, Thailand. hd00:28Amphawa, Thailand - Circa 2012 - a motor boat travels along the river towards the Buddhist temple disturbing the reflections in the water before passing a smaller craft which bobs about in it's wake. hd00:21An empty passenger boat approaches on the river with a Buddhist temple behind at Amphawa, Thailand.